During our week’s stay in Tuscany we visited two big artisanal food festivals, the San Miniato White Truffle Festival (or Sagra as the food festivals are known in Italy) and a big food fair in Florence. 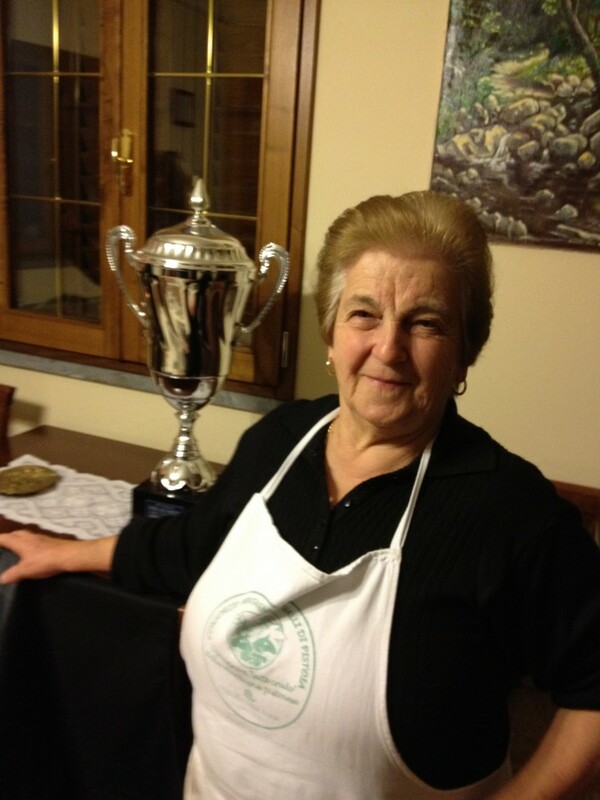 I started to get a sense of the sheer volume and variety of artisanal food production in the area and when our friend and tour guide Michela Ricciarelli suggested a visit to an eighty year old prize-winning cheese maker named Maria in the hills outside her home town of Pistoia it seemed like to good an opportunity to miss! Maria’s flock of sheep who produce her ‘raw’ unpasteurised milk come from the specialist black breed known as Massese, the only breed that is allowed for the Pecorino cheese from Pistoia’s mountains to be given the designation “PECORINO A LATTE CRUDO DELLA MONTAGNA PISTOIESE”. 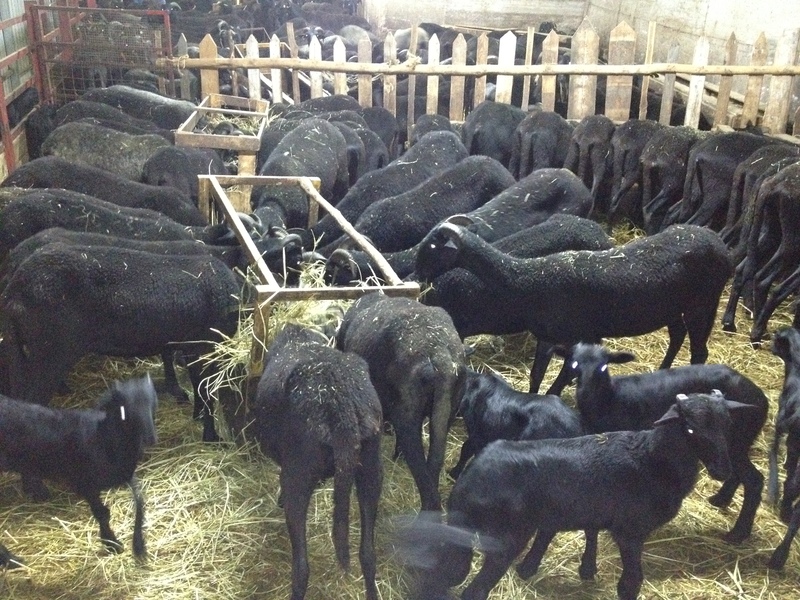 The sheep are looked after by her son and her grandson Daniele and together Maria and Daniele make Pecorino and Ricotta cheeses. 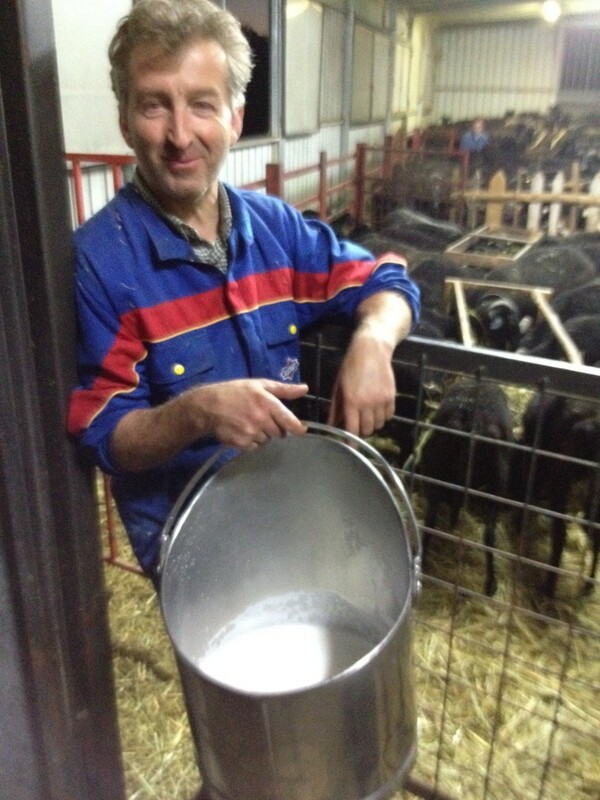 To make Pecorino the milk is warmed to body temperature and rennet from a sheep’s stomach added to make it set. and then it’s mixed up and the curds are scooped up and placed in plastic holders to make the cheese. Once the cheese has risen the Pecorino is salted and can be eaten after 15 days. The young cheese is fresh and milky tasting and good to eat but as it ages it turns into something much nuttier and delicious with many complex layers of flavour. 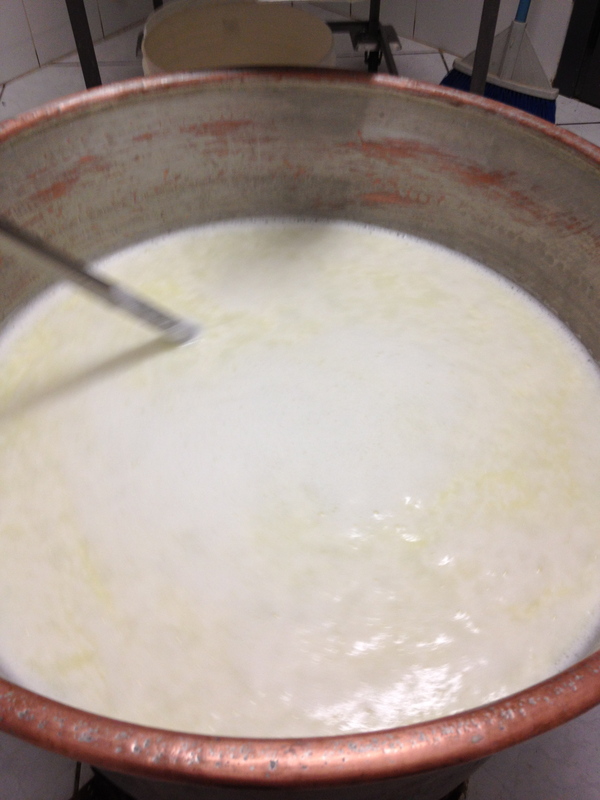 The leftover whey is heated to 60 degrees then more cold milk is added. 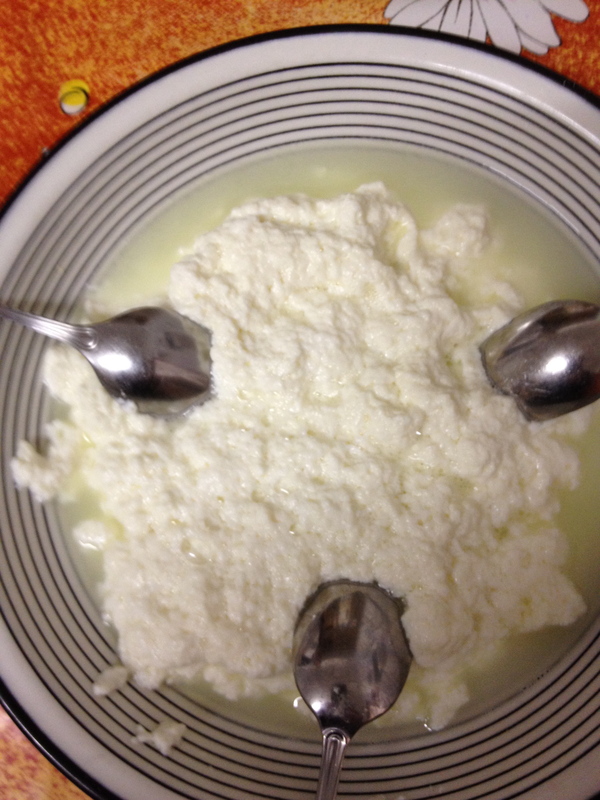 The temperature is then raised to 85 degrees and at that temperature the ricotta curds start to form. The final touch sees the addition of magnesium salt. The Ricotta is less flavoursome than the Pecorino but is great as a creamy addition to pastries or pancakes such as the chestnut flour ‘Necci’ we were to eat the very same evening. Maria complains to us about the physical work involved in making the cheese and it is clear that she won’t want to continue this work much longer. But for all of us it is so important the men and women like her keep these traditions going, that we can retain that crucial connection between the land, the animals that graze on the land and the food we eat. Thanks again to Michela Ricciarelli for allowing us to discover Maria and of course to villas in Tuscany specialists Tuscany Now for our trip.